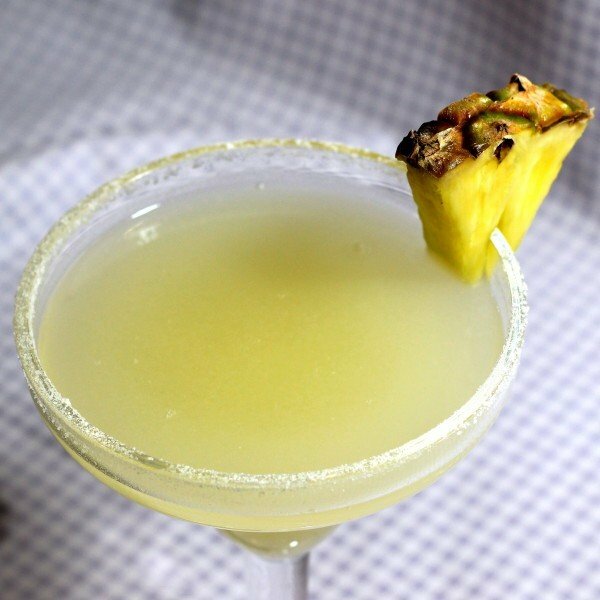 The Pineapple Margarita adds fresh pineapple juice to the usual Margarita recipe. I always expect pineapple to take over the flavor of a drink, but in this case the lime and orange give all that sweetness a nice, refreshing edge. And the agave flavor from the tequila adds some wonderful complexity. This recipe serves 8, so it’s perfect for a party. Fill a shaker halfway with ice and pour in all the ingredients except the pineapple slice garnish. Shake for about half a minute and pour into eight glasses. Garnish with pineapple slices and serve.